Australian polar travel specialist, Active Travel, is offering flight savings of AU$1500 per couple for bookings made before April 30, 2015, on its biggest-ever range of Antarctic voyages for 2015-16. Complimentary wet weather gear hire valued at AU$500 per person, will also be available to all passengers visiting the Antarctic, lifting the savings to AU$2500 per couple. Active Travel’s biggest-ever program of Antarctic voyages offers eight tours between October, 2015, and March, 2016. The Antarctica options include three new shorter fly and cruise itineraries from 11-15 days which will see travellers fly from Chile over the Drake Passage to meet their ship in the Falkland Islands or South Shetland Islands. This option cuts the time at sea, reduces the chance of cross-passage sea sickness, allows more exploration time on land and reduces the length of the tour. These new itineraries include an 11-day ‘Antarctic Peninsula Explorer and the Falklands’ tour, offering a flight from Punta Arenas to Port Stanley in the Falklands, followed by a 10-night cruise aboard the ice-strengthened expedition ship, Akademik Sergey Vavilov, along the Antarctic Peninsula and then a two-hour flight from the South Shetland Islands back to Punta Arenas. The package is priced from US$9795 triple share and US$11,795 twin-share. Departures from Punta Arenas are on December 19, 2015, and January 9, February 13 and March 7 in 2016. Antarctic bookings for the 2015/16 program made by April 30, 2015, will receive a flight credit of AU$750 per person, to be used towards international flights to South America booked in conjunction with the cruise through Active Travel. Complimentary hire of wet weather gear, including polar-rated waterproof jacket and pants and insulated rubber boots designed for walking, will also be offered to guests. Pre/post cruise accommodation and touring around South America can also booked through Active Travel. 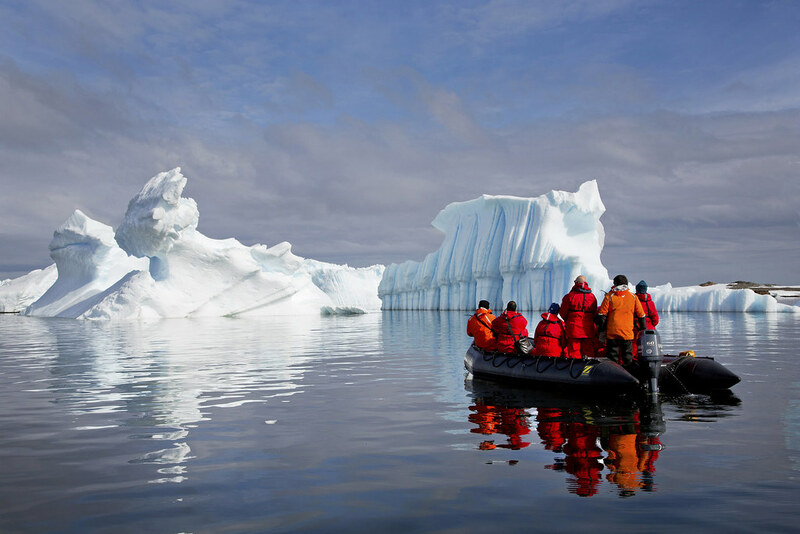 Active Travel offers one of the most extensive range of Antarctic and Arctic adventures available to Australians in partnership with long-standing polar travel specialists, One Ocean Expeditions, which Active Travel pioneered in the Australian market in 2008.